This is being submitting for the MFT 2017 Card Design Superstar for the Coloring Virtuoso! 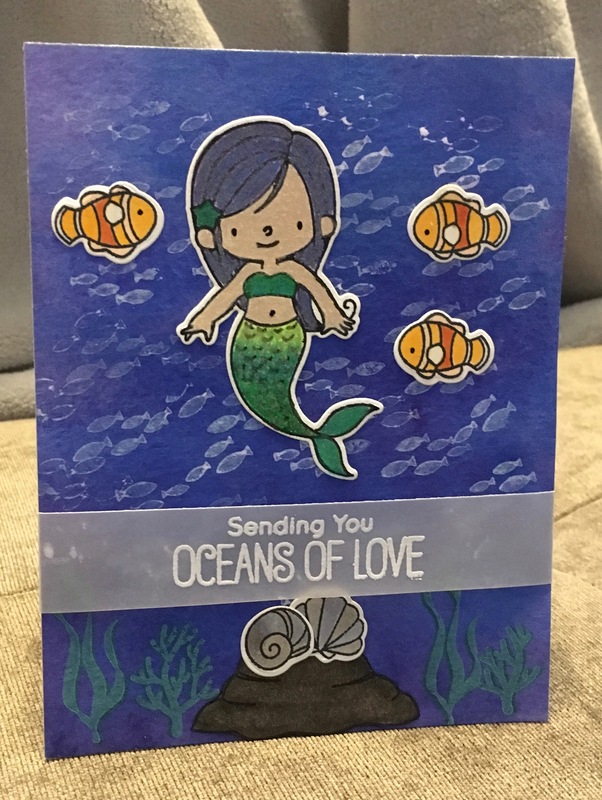 I created this card with a watercolor background then I colored in the mermaid using the MFT Mermazing Stamp and Die set with colored pencils and lots of sparkle. I stamped and colored in the fish, shells, rock with Copics. The seaweed and background fish are stamped on. More details to come once this is submitted.